Wow Smooth, sweet, tobacco nose and flavor. Sweetness is well-balanced and not overpowering. Great Great balance between sweetness and oak, the after taste goes slightly into plumes. Balanced Great Solera style, taste is fruit and grape, leaves aroma of nuts in glass. Deserving of its rating I enjoy rums with raisin and date taste, but this one brings it onto whole another level. The fruit flavor is not in the back, but in the front. Competent It is very well made and balanced, though I would call it a neutral tasting rum - nothing really stands out in it. Ok vanilla It has orange nose, vanilla taste and good balance between sweet and bitter. I am not particular fan of vanilla, but this blend is alright. Prune demerara This is probably the best from Oliver&Oliver, I would compare it to El Dorado 15y, but without the whisky taste and the prune is not as pronounced. 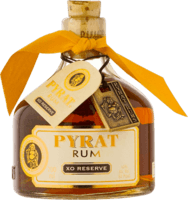 Light Light, mildly sweet rum, personally I prefer heavier rums but this is not bad either. Cocoa Cocoa and wood, a sign of good barrel maturation. Not harsh at all. Dark caramel It is very mellow and pleasant on tongue, it has subdued dark caramel taste. The best Facundo/Bacardi on sale, shame it comes with a price to match. Raisins and chocolate Similar to the Presidente 19y and Zacapa 23y, very flavorful solera style. Typical Oliver&Oliver Good, sweet, balanced, just like other top end Oliver products. You can taste lemon grass in there. Still prefer the Esclavo XO though. Great Competent and very well balanced, vanilla, leather and tobacco, sweetness and wood. 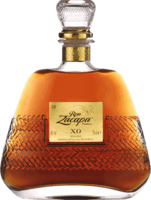 Sharp and sweet The nose is sharp and sweet with vanilla, it bites more than usual XO, taste is typical Zacapa chocolate. Pleasant Pleasant taste, a very slight hint of smoke, typical Solera sweetness. Chocolate It is maybe a bit too sweet, and ethanol shows a bit too much around the corners, but you get that pleasant caramel after taste. Cocoa, coconut, wood Cocoa and coconut in nose and flavor, very well matured. ABV is 43% which is bit too high for my taste, this is meant for serious drinkers. Pleasant Pleasantly sweet and light but going into the prune territory. Good balance Typical Solera style, but the sweetness is a bit too much, but still miles better than most of the competition. Sweet A bit of sweet taste, but great Solera-style nonetheless. Very similar to 20y. Earthy flavor Earthy and smooth, it was something different and interesting in a while. 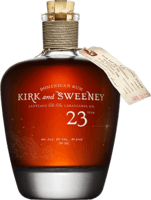 Earthy nose, dark caramel Nose are earthy tones from vulcanic soil, then taste is not harsh at all, I would say it is typical blended molasses rum with dark caramel tones. A bit overvalued Yeah, it is competent rum, but the strong bite in the finish prevents this from reaching 9+. Slight tobacco flavor and it goes well with cigars. Pleasant Chocolate on the nose, on palate wood and cocoa, rather pleasant surprise considering lot of people consider this to be dry, but it is very flavorful. Sherry wood Sherry nose and smooth wooden barrel, a hint of smoke after careful examination. Also dry. Burnt sugar Pleasant taste of burnt sugar, very easy to drink. Tropical fruit Sweet but not as much as the Centenario 25 which this competes with. The whisky flavor from 15y is almost gone, instead you have even more oak. Competent Less sherry than 2002 version, more cognac like. I like the 2002 version slightly more, nevertheless a good drink. Walnut cuban style Nose were walnuts, the body is quite dry but there are worse. Aftertaste developed into coffee flavor. Sweet A bit too sweet, with aging effects adding slight plume flavor. Typical panama Reminds me of Abuelo 12, prune flavor on dry background. Tobacco Typical tobacco flavor on the background of wooden barrel, less sweet than the 15y. 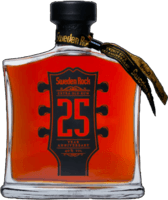 Earthy fruit More elegant and subdued version of 7 year, with sweeter nose but with more alcoholic bite, this series of rums is really full of surprises. Smoky raisin Smoky raisin and fruit in the nose and palate, and quite strong dry aged barrel wooden notes. Leather Tasty and complex but too woody and leathery when compared to the rest of the premium O&O rums. Orange sweet The taste is orange sweet, pleasant but very far from a complex rum. Woody Woody with a hint of cocoa. The wood is maybe a bit much, be forewarned. Sweet Sweet but not overly done. Lacks complexity in the aftertaste. Dry fruity Fruity nose and wooden barrel on the tongue, dry but smooth. Tropical fruit Sweet tropical fruit on the nose, otherwise fairly standard dry aged rum with wooden barrel notes. Cherry floral whisky It is a dark rum with distinct cherry nose, but also develops into light floral whisky on the tongue. 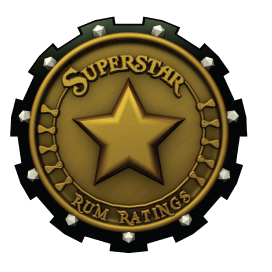 Navy harsh & sweet In the style of navy rums, it is a bit high in alcohol, which is balanced by sweetness. Interesting, but not enough deep flavors. Sherry light It is a 50-50 mix of oak and sherry flavors, I prefer the Luxus version of this range which goes full sherry on you. Mild sherry A bit of a sherry taste at first, then oak and burnt sugar. Surprise This came to me as quite a surprise, but it is a bit harsher than I thought it would be. Otherwise, nose is bit smoky and the body has orange flavor. Leather, raisin, wood It has interesting and complex but not overly sweet taste. Fruit and tobacco I am getting the tobacco flavor like from the 25-30y, but it is sweeter due to a slightly fruity aroma. Sharp coconut Reminds me of lightness of Barbados rums, with a hint of coconut, a bit of sharpness there as well but pleasant drink overall. Plumes, iodine It contains the basis of a good rum for sure, but the weird nose and a bit of iodine flavor keep it from reaching the high scores. Smooth like Baileys I am very surprised by this, it is actually drinkable, very smooth and it has chocolate flavor like Baileys liquor. Coffee and salt Very similar to Flor de Caňa rums, the nose is pleasant coffee and it is a bit salty on the tongue. Wood It is smooth on tongue so they did not lie about the 16y aging, but I could not taste anything besides the barrel and the burn. Pleasant enough Not the smoothest, but it is indeed made in the Cuban style with nuanced sweet wood flavor. Light It is a light rum in Barbados style, however don't expect anything sophisticated. Weird background flavor Very smooth, but the background flavor disturbs me quite a bit. Probably was aged in red wine barrels, it has that damp cellar quality. Coconut flavor Okay rum with coconut flavoring, probably the best way to experience coconut rum, some ethanol notes as well. Competent Sweet solera with a slight coffee aroma and taste, a bit pricy for sure. Charred barrel The initial taste is a nondescript charred barrel, but after long negotiation in the mouth it develops into cocoa. Christmas spices Smooth, but spices create a bit of a Christmas praline taste. Worth a try for a party drink. Drinkable If there is nothing else around, this might do. After taste is very weak, and not much really going on. A bit sharp A bit sharp for what I was expecting, also dry. Probably will give it another tasting. Bite Offers quite a bite, could not remember much else. Lighter demerara Not having as much whisky flavor like the 15y, which is a good thing, but it is also lighter on the date flavor which for me identifies Demerara rums. Molasses Expected very dry stuff, but is was more to my taste with the molasses flavor playing bigger part. Molasses Tried batch 2, expected very dry stuff, but is was more to my taste with the molasses flavor playing bigger part. Fruit whisky It has quite high abv (46%), so beware. Taste is very similar to a fruity whisky, like Balvenie. Crouching dragon, hidden whisky Fruity whisky masking itself as a rum. For whisky lovers out there. Vanilla alcohol Vanilla flavor and aftertaste, but on the background is just vodka. OK Sort of a rum without qualities - it is drinkable, but cannot tell you much of its flavor besides the sweet wood. Weird taste Weird black tea taste, aged wood notes, a teeny bit of sherry barrel maybe. Burns a bit more than it should. Weird It has a strange cigarette smoke aroma, followed by old attic flavor. Surprisingly minimal burn at the end. Strange experience. Harsh A bit harsh, with a strong raw woodiness, almost like a resin. Sour wood Nose was sour, rather would not know how they did it, and the taste was oak wood and nothing else. Sweet candy Thankfully it is not as off putting as AH Riise stuff, but it is so far from rum as Fanta. Fernet Basically, sweet Fernet herbal liquor posing as a rum, and slightly burns. Honey candy Quite a burn at the end, flavor is a bit weird honey candy and fructose sugar. Earthy Rum with earthy tones, nothing spectacular going on, 8 year is not enough. Not a rum It is a juice with coconut rum flavoring, actually not bad if you seek stuff like that. Sweet glue Not terribly harsh, but the sweetness is weird - almost glue like. Weird background flavor I do not think this particular one came out right - something fetid lurks behind like in the Brugal Leyenda, only more bearable. Agricole This particular agricole was salty during nosing, then grass and compost and after careful extraction also cognac barrels. Cognac Very cognac-like and dry at first tasting. On second tasting, I could pick out the grass and fruity notes. If you like agricole, add 3 points. Alcohol Mildly sweet alcohol with sugar cane aroma. Cannot identify much else. Mediocre Bitter unlike the 3-year version, which I prefer more, but all the same it is just an alcohol without much flavor. Coffee syrup Tastes like very mild coffee syrup, pleasant taste, good for your woman while you drink something else. Iodine Citrus aroma with a bit of an apothecary iodine taste. Quite strong. Agricole It was easy going considering agricole rums, with a hint of apple. Sorry I was not able to appreciate this rum, add 4 if you are into agricoles. Agricole Nose is grape, otherwise it is typical agricole. Sorry I was not able to appreciate this, add 4 points if you are into agricoles. Ok Molasses flavor but somewhat damp yet still drinkable, ok taste but nothing complex. Orange agricole Very interesting agricole, there is a bit of orange in there, but it is still too dry for me. Add 3 points if you like agricole. Agricole Cognac is very apparent even more so than in other agricoles. Add 3 points if you like agricoles or dry rum. Added coffee Added coffee flavor like in those Dictador rums, they do not make it anymore but there is nothing to regret. Weird glue flavor The base is plumes similar to the Panama 15y I tried recently, but somehow this has quite unpleasant light glue smell. Go for the lower year Panamas. Standard It is standard light rum with floral aroma suitable for cocktails, similar to Havana Club 3/7y. German agricole Nice aftertaste, that is the only positive I can say about this. It burns, and has weird flavor and nose to it, like some house paint. OK OK sweet floral rum, a bit of ethanol showing on the background, not harsh. 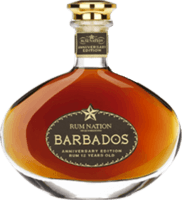 Burns Aged sweet rum, it is nothing special. Maybe the worst Solera style I had. Subdued agricole The grass and harshness are quite subdued in there, so lets call it floral scent. Not my favorite thing, but does not offend either. Vanilla Strong vanilla, probably additives, and quite a burn, another in the crowd of mediocre rums. Beer It has quite a burn and weird background beer flavor. And the whole body is basically just whisky. Normal white rum White rum for mixing, not for drinking straight. It seemed a bit sharper than white Cubaney, but hard to tell for sure now. Pineapple ethanol Nothing much sadly going on in there, no aftertaste, just stingy ethanol and pineapple additive. Not terrible either, but you get what you see. Mix between vodka and aged rum Nothing special, good as a vodka replacement or a mixer. Orange PEZ candy It is not nausea-inducing, but the candy-flavor is too much. At least it is distinctly orange instead of a mix of everything like in Riise. Earthy Nothing you would buy on your own, the earthiness was the only distinguishing feature of this, otherwise it is a high quality moonshine. Vanilla Artificial vanilla, the rest was quite thin considering it is 12 year. Rancid vanilla Overpowering vanilla and background rancidness. Similar to Zaya 12. Avoid. PEZ candy At first nosing it masques as normal Solera, but the tasting reveals only the PEZ artificial candy flavors. Harsh and bitter I tried to taste the flavors of it, but the harshness and bitterness completely blanked my mind. Otherwise, it is sweet light rum. Probably. Harsh Harsh light rum, not really suited to anything besides cocktails. Harsh Harsh and with that weird cherry (not sherry) background flavor that is artificial and disturbing. Typical agricole Grassy flavor, strong burn, slight acidity, only for agricole fans. Harsh grass and whisky Tastes sort of like a blend between agricole (grassy tones) and whisky. It has quite a bite as well, at least it does not have weird chemical flavor. Burn Compost agricole with strong burn, for cocktails only. Weird additives I drank worse, but still is not drinkable enough. Imagine sweet cake but filled with chemical waste. Sickly sweet Has some strange flavors added to it, cannot identify it exactly, but it is very unpleasant going down. Perfumed fire water Smells like a perfume, and drinks like a fire water. They overdid it with abv, 50% is too much for straight drinking. Rancid sherry Sherry smell with a hint of rum, the smell turns my stomach around.